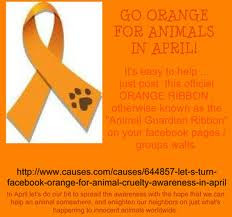 Indian Beauty Blog | Fashion | Lifestyle | Makeup | SparkleWithSurabhi : April is Cruelty Prevention Month!! 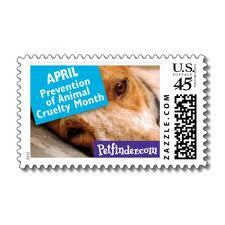 April is Cruelty Prevention Month.. So Go Orange! 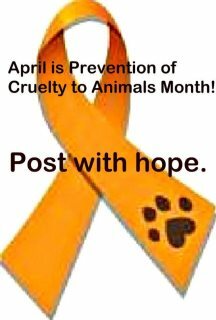 !...Every Year ASPCA urges people around the world to celebrate the month of April as Cruelty Prevention Month and support ASPCA for their efforts against animal cruelty, go orange. 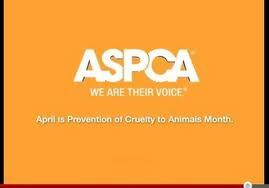 ASPCA will be celebrating throughout the month for the victories acheived in the fight against cruelty to animals and urges people around the world to support them in their cause. 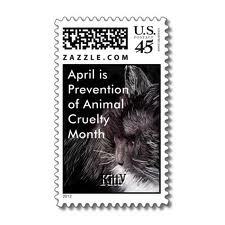 Blog, Post, Share on Facebook or any social networking that April is Animal Cruelty Prevention Month. Feed Homeless Dogs or Cats in your neighbourhood get them vacinated or treated if you see any animals nearby your house in pain. 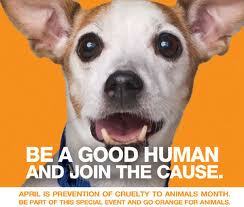 Donate to PETA India, PETA.org or ASPCA for the welfare of animals and so that they can protect animals in danger. Contact your nearest Animal rescue center if you see any animal in pain or being hit by a car or human, don't be scared to report the incident. Adopt homeless dogs or cats from nearby your house or any pet shelter give them a home and get a companion for life!! If you already have a Pet take a care of it. Play with them as they also feel lonely. Use a Flea or a Tick treatment make sure that your dog or cat is free from any infestation. Give them a bath -- its really really hot. I am sure your pet will love it!! Make sure that their collar is not to tight. Get involved -- Volunteer -- Join your local animal care centre. Show that you Care! Buy Cruelty free Products and Cosmetics. Fight against Animal Testing. IF YOU SEE ANY ANIMAL IS IMMINENT DANGER CONTACT PETA.india please call their emergency number – (0) 98201 22602. I broke the dining table and ate dad's cashbook and porsche design glasses but everybody still loves me. I tease the neighbourhood dogs and make them go furious that's just one of my hobbies. I love to play ball, catch and hide and seek. I have been vaccinated and taken to doctor regulary but somehow I just can't stop being naughty! He is Naughty and a Beautiful dog and We all love him. Have you loved your Dog or Cat today???? Love them Show that you care!